Social Media is Blowing up the Dictators of This World’s Proverbial Skirts! Today, Social Media is Blowing up the Dictators of This World’s Proverbial Skirts! There can be an end to ignorance, hatred and divisiveness. Our hope is the word, the depiction, the song and the act can bring even greater gratification. The culmination of art forms can be amplified through the expression of social media. Today, are words too common? Is photography, a depiction, passé? Is sound, music to our ears, second hand? Words, pictures, sound, all are considered art forms. Traditional art forms? It’s more popular to opt for the culmination of all these traditional art forms, video, the act. There’s no contention. Publishing of news, magazines and books can produce art. The same holds true for music and movie production, all established art forms. So what does YouTube, Twitter and Facebook, social media, bring to the table in terms of art form? A new art form? I think not. Facilitators? I think so. Social media brings freedom of expression. Freedom of expression creates art. Think light speed. Social media creates freedom of expression at light speed. All one can do is imagine the creativity bottled up inside each and every one of us! Today, through technology, the future is 24/7 and is happening before we can create it! The future is freedom of expression that will bring worlds apart, together. Social media, not bullets, not bombs will be blowing up their skirts. Suppressors of freedom, dictators, communists, socialists, they’re all on notice. There’s no escape. Social media is blowing up their skirts. Stay tuned. Amazing! 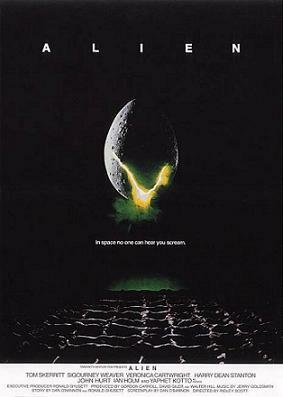 Alien, the movie was all about spreading spores and breeding aliens to prey on mankind, should the spores reach our planet. Obamacare and its spores are already here. Come 2014 the invasion will begin in earnest. In Alien, Sigourney Weaver is the much larger than life heroine who thwarts the Alien invasion, at least until Aliens… Who can stop Obamacare? Maybe Pam Bondi, our larger than life Attorneys General for the State of Florida and the case she and attorneys generals in 26 other states have filed against Obamacare with the U.S. Supreme Court? I’m just a small business owner. My concerns as a small business person and employer need to be amplified on a scale much bigger than fiction. We’ve already been invaded. The spores of Obamacare have already been planted. Officially, Obamacare is the Patient Protection and Affordable Care Act. The Senate passed it on December 24, 2009. Beginning in 2014, when Obamacare explodes on to the scene, small business as we know it will cease to exist. 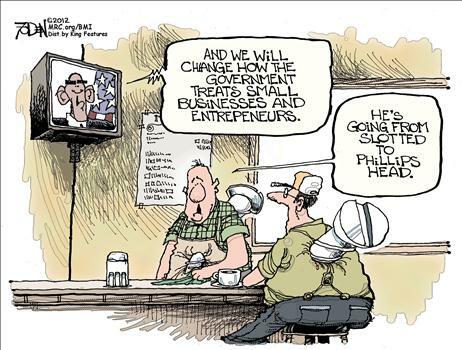 In its place will be big government running a significant portion of small business, literally. The heroine (or hero) in the real life movie Obamacare is the entrepreneur, the small business owner. The enemy is SHOP, the Small Business Health Options Plan. Big government is betting small business owners don’t have the time or the energy to sit through the movie, but as right-brained as many entrepreneurs can be, myself included, navigating SHOP is a must see. The entrepreneurial spirit will be crushed by the most egregious of government actions since the payroll tax increase in April, 1983 which was cause and effect, the catalyst for U.S. manufacturers investing in jobs overseas. There will be nothing to prevent another government subsidy, Obamacare, to balloon out of control, as have Social Security and Medicare/Medicaid and chase more jobs overseas. To illustrate, below is a paragraph from HHS regarding Obamacare and the SHOP program. From what I have read in the 644 page document, Final Rule State Healthcare Exchanges, from the Department of Health and Human Services (HHS), how the final rules address small business, capitalism and the entrepreneurial spirit and the heroine in this movie may die. Great ambiguity, but true! There’s plenty of room for HHS to make up more rules and regulations under the auspices of Obamacare. Obamacare is a lawyer’s dream! In a country and a society as litigious as the USA and a law this broad, full of waivers (prejudices), exceptions and rules yet undefined; wasn’t instituting this law insanely àpropo?! In 2014 and beyond, the justice system will be brought to its knees. No. It has already been brought to its knees. It will be buried! 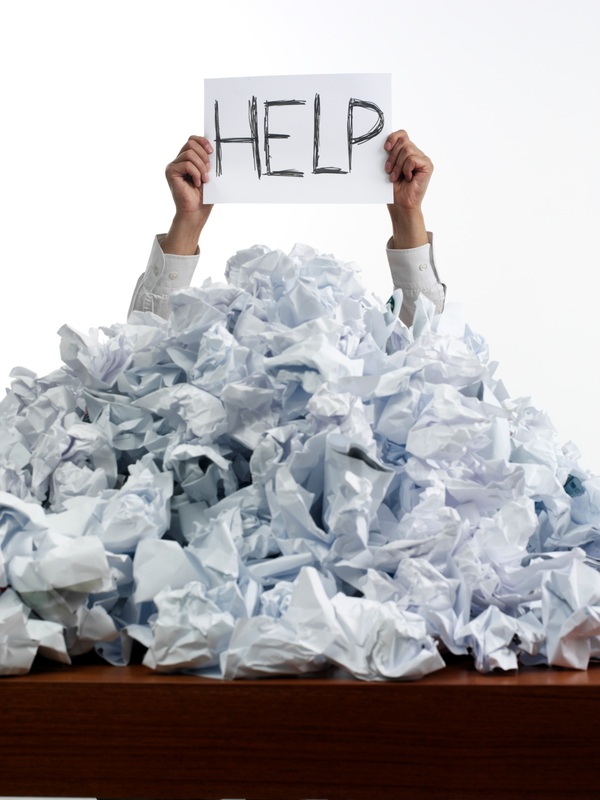 So will many small businesses be buried, who can’t afford a good lawyer; who can’t afford the paperwork explosion. HHS says one form. SHOP says only two forms, but if you read between the lines you know the paperwork will border on the ridiculous. Hello!, fellow small business owners…think annual Worker’s Comp. audits! Worker’s Comp. 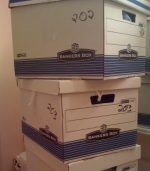 audits will be nothing compared to HHS audits sure to follow. Here’s a snippet. Keep in mind this is one paragraph of a 664 page document to mandate a final rule on SHOP! “Consistent with the statutory directive for HHS to provide a single, streamlined application form, we also proposed that the SHOP use only two application forms: one for qualified employers and one for qualified employees. We further proposed that for the purpose of determining eligibility in the SHOP, the SHOP may use the information attested to by the employer or employee on the application but must, at a minimum, verify that an individual attempting to enter the SHOP as an employee is listed on the qualified employer’s roster of employees to whom coverage is offered. We also proposed that the SHOP have processes to resolve occasions when the SHOP has a reason to doubt the information provided through the employer and employee applications. In addition, similar to the individual market Exchange standards, we proposed that the SHOP notify an employer or employee seeking coverage of the SHOP’s eligibility determination and the employer or employee’s right to appeal. The final ruling on SHOP brings more questions than answers. Bigger government, more regulation, new laws, especially the behemoth of all laws, Obamacare, create entirely new industries. Obamacare will undoubtedly create another cottage industry, like Dodd-Frank did for compliance and regulation, but Obamacare will create a tsunami of new so called experts spawned to aid small cash strapped businesses navigate Obamacare. Essentially they are government created jobs and all at taxpayers’ expense. Many businesses are started by sole proprietors. Sole proprietors are excluded from SHOP. Sole proprietors pay the same tax rate as LLCs and Sub-S Corps. Don’t sole proprietors often spawn small businesses? What if an employee can find a better plan by shopping the individual market and he or she wants to opt out of a company’s group plan? Once invited to participate in SHOP can an employee still “SHOP” for their own individual insurance plan. If the employer is getting a less competitive price due to lack of participation, how does that affect the employer’s plan and administration? Regardless of the “one bill for all” concept which most small businesses already enjoy, if you have 10, 20 or 50 employees, you may have to track different deductibles for each employee. Will HHS and SHOP pit employers and employees against one another; against insurers? Will SHOP leave one employer at a competitive disadvantage with other employers based on participation and economy of scale? On the other hand, if insurance companies have to give individual employees the same price as employers, which according to SHOP is the rule, the price goes up for employers. Don’t the private insurers win? What if you have employees in different geographical areas? What if they are eligible for different, more competitive SHOPs? Certainly there will be more questions. Today the private health insurance company is on the hook for the employer’s unpaid bills, not the government. With the government on the hook for unpaid health insurance premiums at least with SHOP, the winner is the insurer. The loser is the taxpayer. The Aliens have landed, their spores have been planted and come 2014 there will be no stopping them. In the role of big government, Obamacare rules. I can save you some time. All I’ve learned about the details of how the exchanges are going to work is summarized above. To learn more HHS or your state government will have to set up SHOP. As for the spread of big government, here’s a glimpse of the future (another excerpt). Lead with Words. Live Free, Not Die! John McCain came out today and said we should arm the freedom fighters in Syria. John needs to spend more time on his iPad. Most freedom fighters are peace-loving people, not soldiers. They want to live free, not die. Social media, Facebook and Twitter can do what shock and awe, subterfuge and sanctions will not do. Free the oppressed. We are ignoring the obvious. 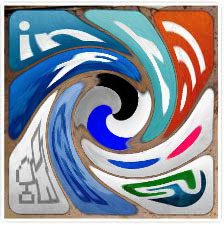 Twitter and Facebook are the path to freedom in Syria and beyond… Twitter and Facebook are ubiquitous. They can, persona non grata, topple middle eastern dictatorships. The video link (Iran election pictured on the right) to the right is a segment which highlights the power of the internet and social media, produced by Mike Walsh, futurist and CEO of innovation research lab Tomorrow. Lead with words! A double entendre that would be rendered empty without the help of real life martyrs, real life freedom fighters, brave, passionate people dating all the way back to our own founding fathers. We need to drop Smart Phones not Smart Bombs into countries ruled by dictators and religious zealots! Cell phones and the internet may be blocked but USB devices are ubiquitous. Instead of dropping leaflets, like they did on occupied Germany and France in WWII, drop USB key drives and SIM cards for cell phones with a message of hope. Let them know their leaders are slaughtering their own. Let them know, those who are freedom fighters, that the whole world is with them. Let them know the whole world is outraged by the brutal dictatorship and will punish human cruelty.” Let them know we are grieving their losses. Let them know the true spirit of freedom and the goodwill of humankind is on their side. Ask the supporters of the dictators to drop their weapons and cross the line to a world of promise and freedom from oppression. “The Enemy Within” was an episode of Star Trek: The Original Series. The evil side of Captain Kirk being beamed up to the Enterprise in Start Trek. The good Kirk defeats the evil kirk by virtual sheer willpower and the help of Spock and Scotty. The free world surely has the resources and ingenuity of Spock and Scotty to give the freedom fighters in Syria and beyond the willpower that comes from within. The good people of Syria and beyond will cross the line and choose to live free. Let’s do what we can to help them “live” not “die” for freedom. Let’s show our support and Tweet and Facebook (post) a message now to all your fans and friends, “Live free, Not Die!” to get the message out to our Middle Eastern and African neighbors who live under oppressive dictators. Here at home, let’s put a face on freedom. Tweet and Facebook the message. Live free, not die. Bullets and bombs are cruel and will not discriminate, but truth and freedom will prevail. Twitter them free. Wikipedia – Telecommunications in Syria is slowly moving towards liberalization, with a number of licenses awarded and services launched in the Internet service provision market. The initiative reflects the government’s change in attitude towards liberalization, following its promise to the European Union to liberalize markets by 2010. All other forms of fixed-line communications are provided by the state owned operator, Syrian Telecom (Syriatel or STE).